The DIY toolkit(s) is perfect for those who require a visa to live, work or study in South Africa, but do not require a dedicated Immigration Agency to assist with the end-to-end process. 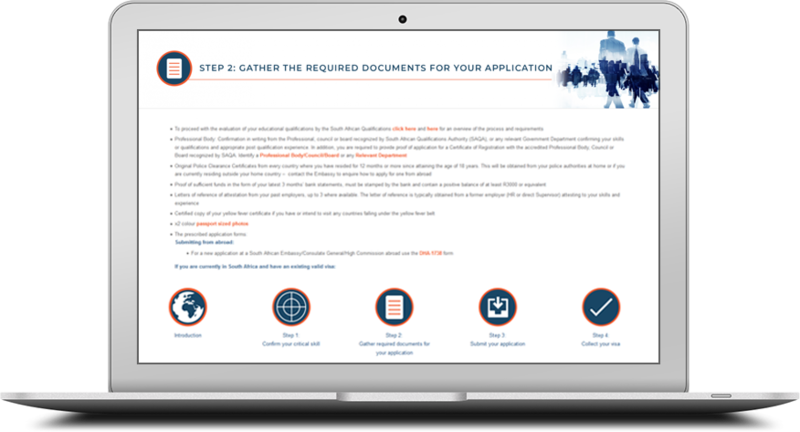 The toolkit will provide you with all the requirements, guidelines and tips to obtain the visa yourself. Why do you need a toolkit? Whilst the current visa legislations remains intact, it often occurs that the procedures followed in practice hinder individuals in obtaining the required visa. In this pack, we share our experiences in order to help you prevent small, but costly errors. This toolkit will provide clear step-by-step instructions on which processes to follow/avoid. Need we say more? If you don’t see a visa toolkit you are interested in, let us know and we may be able to specifically design one for you.